Let me say that again: OIL-FREE. HASH BROWNS. 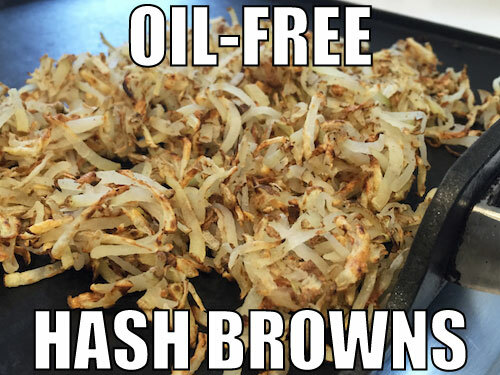 How to make homemade hash browns. How to cut potatoes for hash browns. How to make homemade hash brown patties. How to make creamy mashed potatoes without cream or butter. 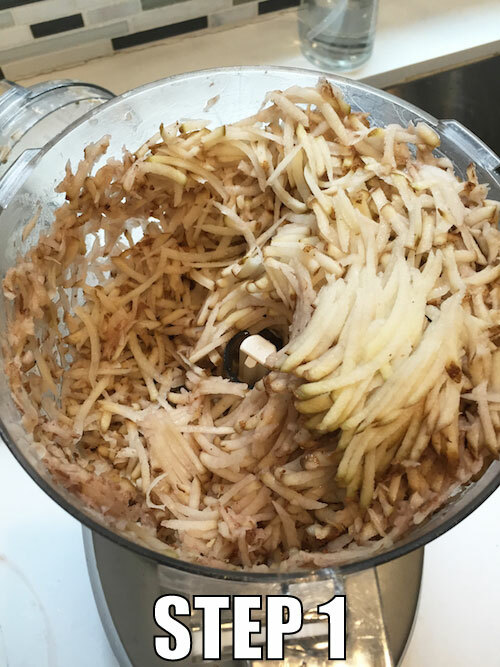 Take a potato (raw) and shred it using a four-sided cheese grater or the shredder blade on your food processor. The water will get kind of brown and gross, and really starchy. Save the starchy water to make mashed potatoes. Instead of milk or butter, use your starch water for the creamiest mashed potatoes. You can also add 1-2 tbsp starch water to make a pasta sauce thicker. You can also push on them to “squeeze” out any extra water. Two options: griddle or bake (400F, about 10-15 minutes). My family prefers cooking hash browns on a non-stick griddle. It’s faster and we liked it better taste-wise. Follow this recipe for Baked Oil-Free Vegan Latkes. I've also had great result taking the kiquid from a can of chickpeas, pouring it into my mini food processor, and whizzing it until it turns into a white fluff. Then mixing that fluff with the potato shreds and scooping 1/4 to 1/2-cup worth. Packing it into a patty, then baking. (You could also add garlic or onion powder to it). Baked chunks of potatoes (usually with sprinkled with seasonings such as Cajun seasoning or Italian seasoning) instead of shredded potatoes. Breakfast Potatoes are also called roasted potatoes and home fries. Breakfast Potatoes may be roasted with other vegetables such as onions or peppers. How do You Make Oil-Free Breakfast Potatoes? 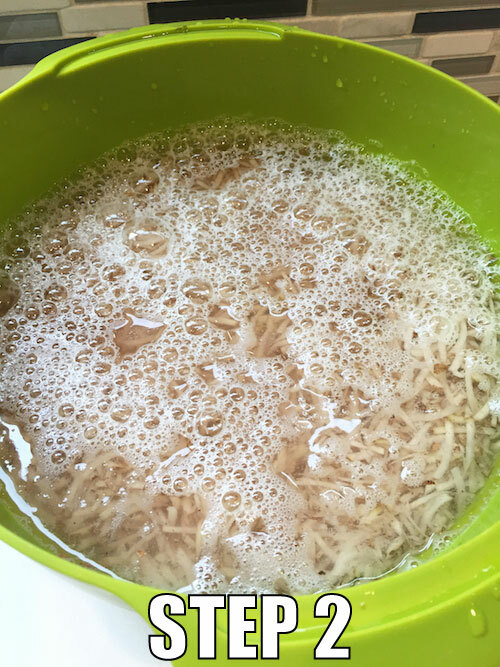 Rinse your potato cubes under water in a colander than shake off the excess water. (The potato chunks should be lightly wet). Toss with whatever seasonings you like such as salt and pepper or garlic powder. 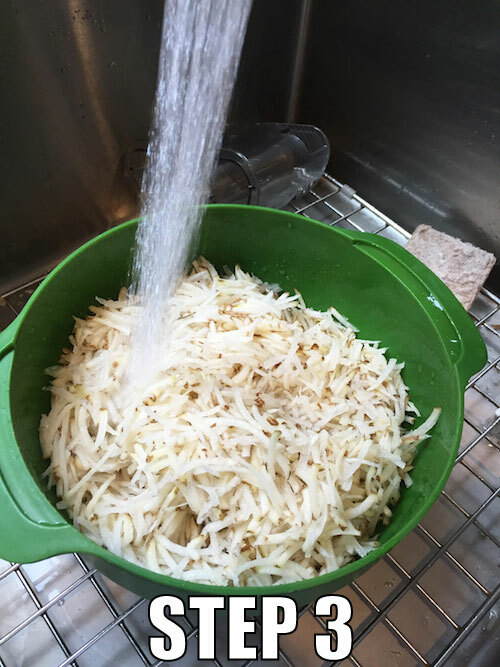 For best results, soak the potato cubes in a cold water bath for a few minutes like you would do for the shredded potatoes in hash browns (see above). Spread potatoes out on a baking sheet lined with parchment paper (avoid too much touching or overlap) and bake 10-30 minutes, until golden and crisp around the edges and fork-tender. Can you Use Silicone Baking Mats for Hash Browns? I've been unsuccessful. A greased baking sheet or baking sheet lined with parchment paper is the only way I've been able to create crispness in the oven.